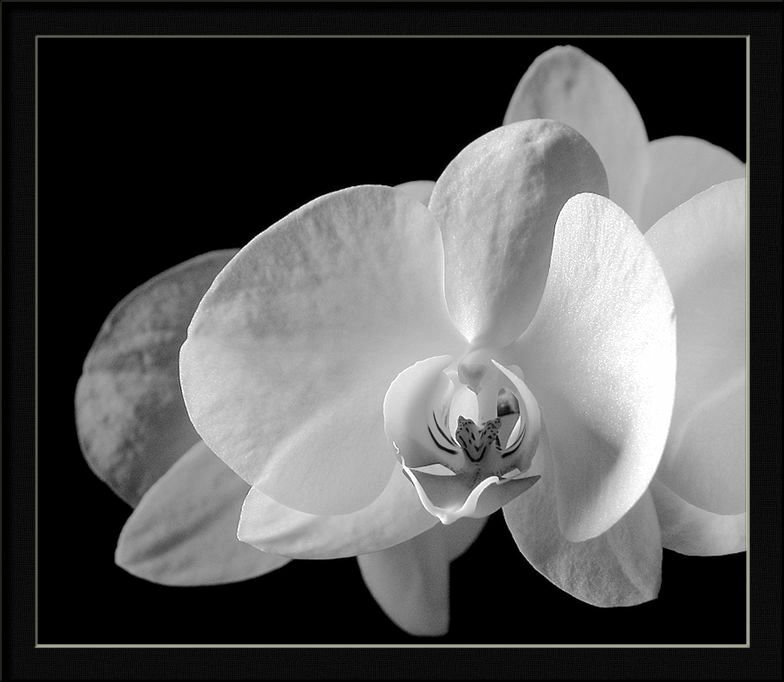 Delightful white tenderness on the deep background of the blackness... And the charming translucence indeed..
Lovely Orchid(?) and very well captured. Welcome back Cliff. Have you been galavanting again Cliff? Nice to see you back on form.Fantastic capture with great contrast and clarity.The light has worked perfectly. Warmest Regards to Susie & Your Good Self. Excellent orchid image Cliff. Good choice for b&w. Beautiful macro, my friend! Excellent work! Dear Cliff, your photographic work is always fantastic and wonderful. I love too much. Warmest regards to you!